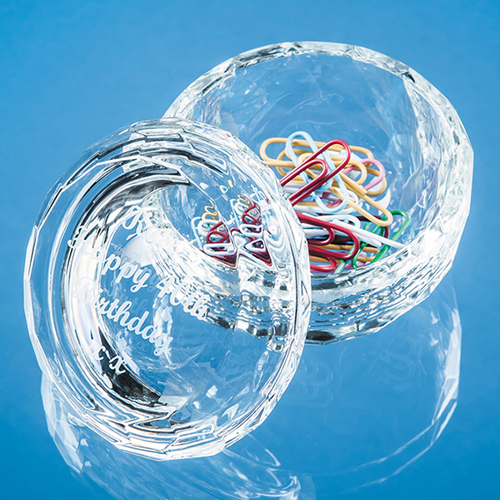 This optical crystal facet trinket dish is an ideal keepsake gift for a milestone birthday or graduation. It can be personalised with any logo, crest or wording and is sure to be treasured by the recipient. Eng. Area: H: 40mm Dia.